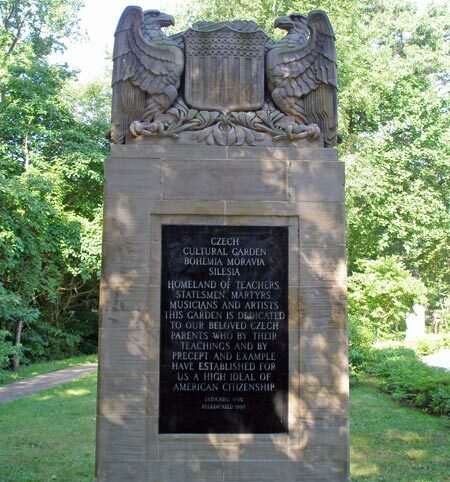 The Czech Cultural Garden was dedicated on October 6, 1935. 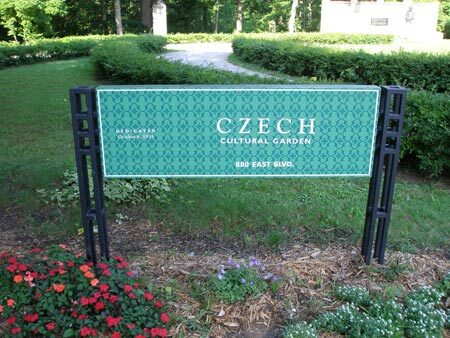 Take a virtual video tour of the Czech Cultural Garden led by Paul Burik. 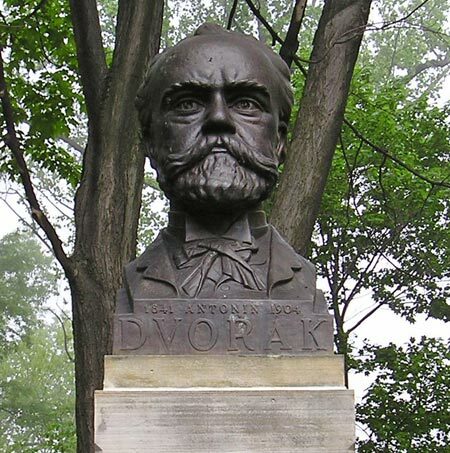 Antonin Dvorak was a Czech composer of Romantic music, who employed the idioms and melodies of the folk music of Moravia and his native Bohemia. 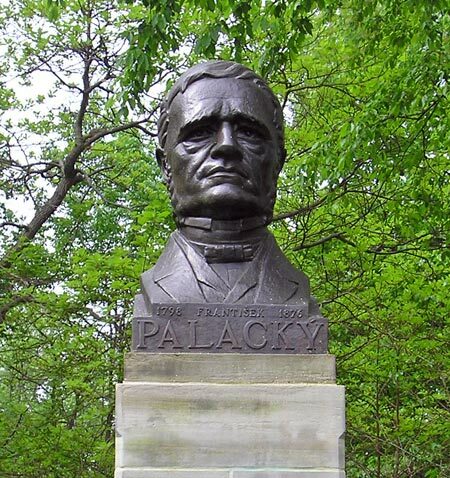 His works include operas, symphonic, choral and chamber music. 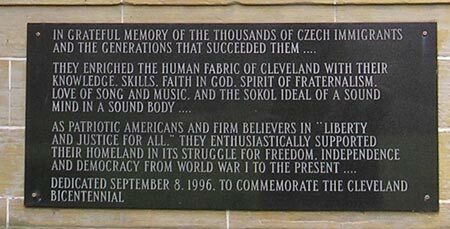 His best-known works include his New World Symphony (particularly the slow movement), as well as his Slavonic Dances, American String Quartet, and Cello Concerto in B minor. 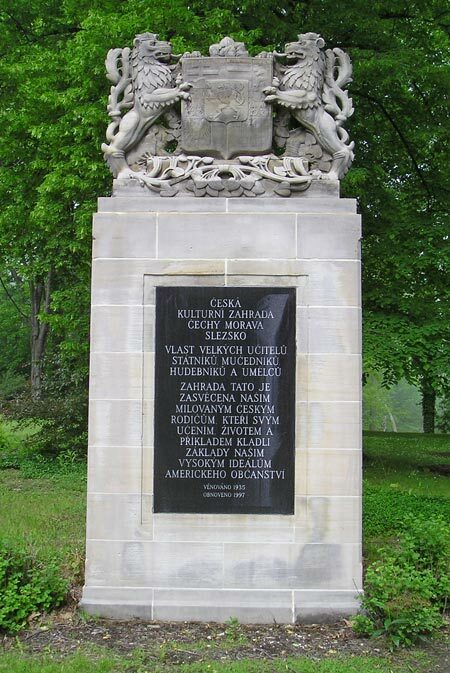 Bedrich Smetana was a Czech composer, best known for his symphonic poem Vltava (also known as The Moldau from the German), the second in a cycle of six which he entitled M� vlast ("My Country"), and for his opera The Bartered Bride. 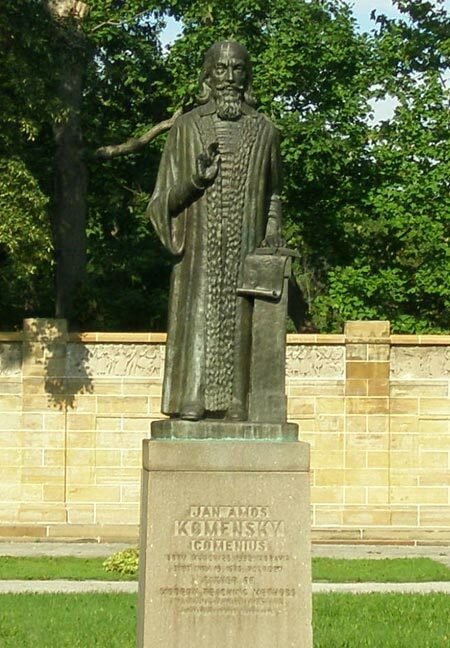 Jan Amos Komensk� (1592-1670) was a Czech teacher, scientist, educator, and writer. 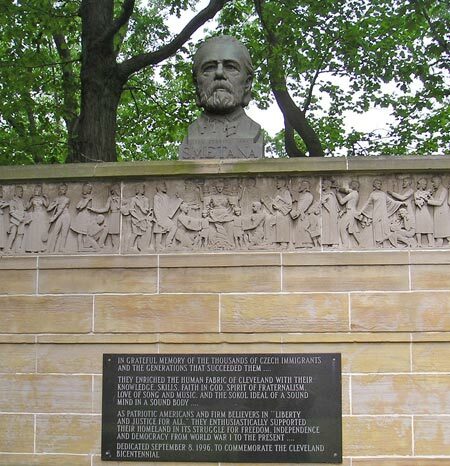 He was one of the earliest champions of universal education, a concept eventually set forth in his book Didactica Magna. Comenius became known as the teacher of nations. 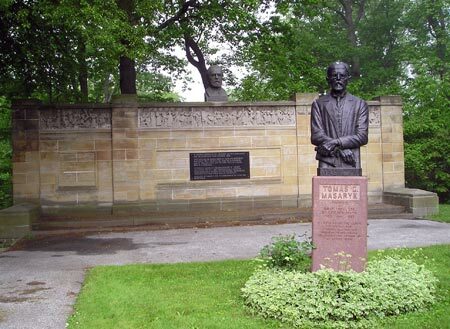 He is often considered the father of modern education. 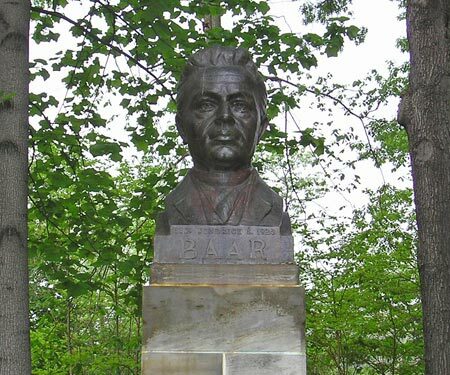 Jindrich �imon Baar was a Czech Catholic priest and writer, realist, author of the so-called country prose who emphasized traditional moral values of the countryside. 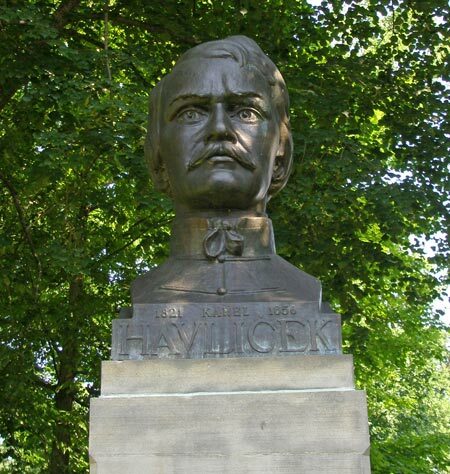 Karel Havl�cek was a Czech painter. He drew a picture every day for tens of years. 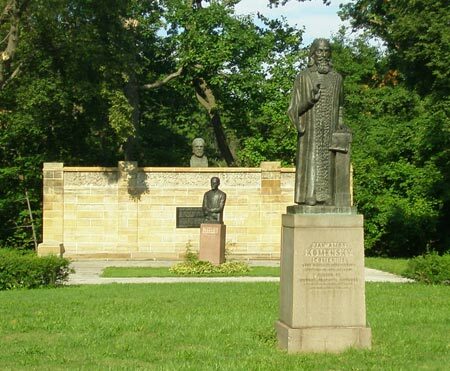 The communist regime did not allow him to display his work and so he was recognized only by a few artists and writers. The municipal gallery in Kadan is named after him. 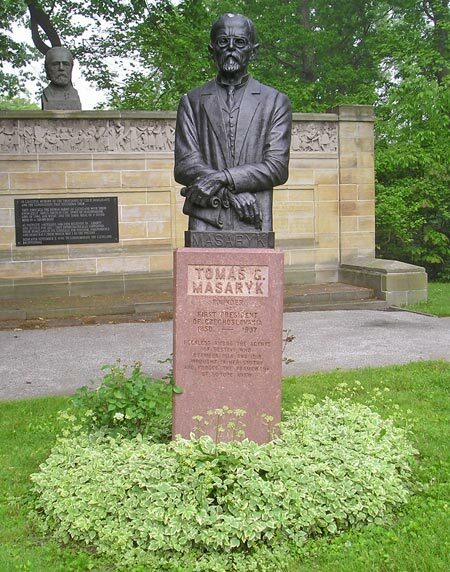 Tomas Masaryk was the keenest advocate of Czechoslovak independence during World War I became the first President and founder of Czechoslovakia.